Family, Stamping and FOOD! : Another $25 Publix Gift Card! Another $25 Publix Gift Card! Guess what!? I made a boo-boo and have ANOTHER $25 Publix Gift Card to giveaway! This giveaway is a $25 Publix gift card to purchase Italian yummy goodnesses! Random.org will select a winner on February 19th at 9:00 p.m., so be sure to enter as quickly as you can. Please leave a comment telling me what your favorite Italian meal is. Ours has to be spaghetti with meatballs. 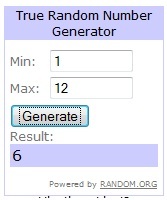 Winner is #6 Carrie. I've emailed her and if she doesn't respond, then another winner will be chosen. Thanks for participating! MyBlogSpark and General Mills provided me with a $25 gift card to Publix. Chicken Parmesan is always a hit around here! Hey! My fav is eggplant parm! Spaghetti and meatballs with salad and garlic knots yummm! thanks so much we love Publix! Lasagna is our favorite! Thanks for the chance to win! pizza is my favorite meal.